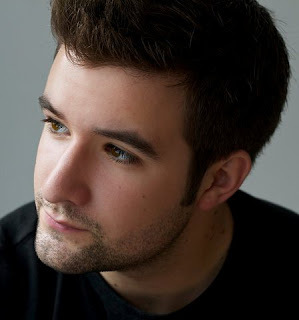 The young British tenor Thomas Elwin is giving a recital on Saturday 28 November 2015 with pianist Maite Aguirre. Elwin was one of the founder members of the vocal ensemble Voces8 and his recital is being given in the Gresham Centre, home to Voces8 and the VCM charity. The recital is one of the Gresham Centre's Masters Series. The programme will include songs by Strauss, Bellini and Liszt and arias by Mozart and Donizetti, as well as piano solo pieces by Granados and Larregla. Thomas Elwin is a graduate of the Royal Academy of Music, London, and the Opera Studio of Oper Stuttgart. In 2015/16 his performances include Belmonte (Die Entfuhrung) in Bregenz, Bach in Stuttgart and Nathanael (Tales of Hoffman), Kuska (Khovanshchina) and Borsa (Rigoletto) for Oper Stuttgart. Maite Aguirre is a London-based Spanish pianist who is also assistant conductor at Grange Park Opera. Further information from the TicketGun website.